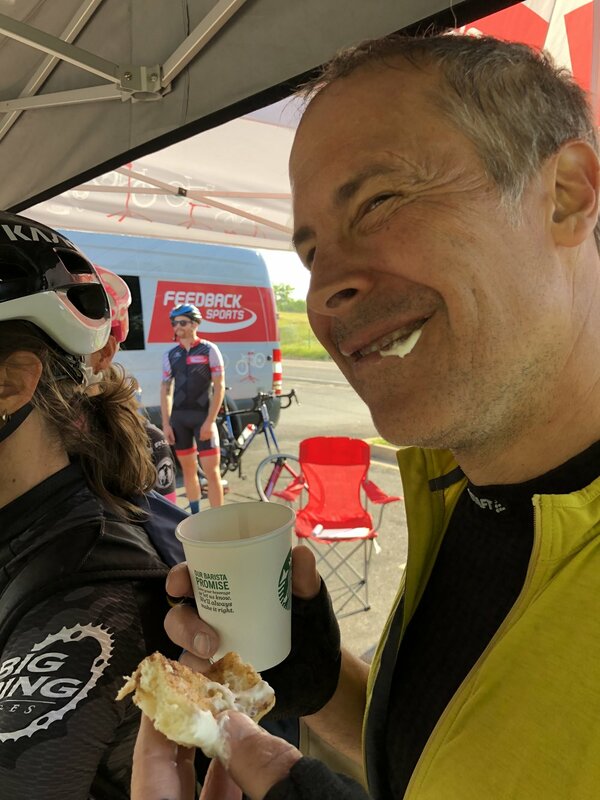 I just kept at it -and eventually people came to accept my "odd habit" and then came to expect it- "why didn't you ride in today," they'd ask when they'd see me drive. You can make people into believers -even if initially they are skeptical. Lead by example. You'll be amazed at the impact your example can have on others. Spring 2019: e-bike commute from Golden to Boulder for a legal seminar. 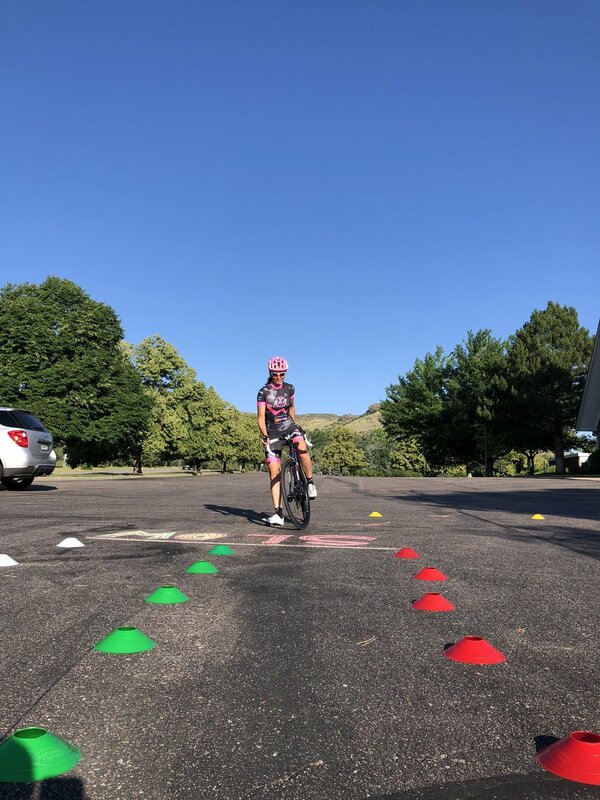 Once I moved to Colorado, I commuted to the Courthouse in Golden -of course cycling is more widely-accepted here, but I still got some looks of curiosity as I'd wheel my bike through security into the elevator each morning and into our office. After that job, I commuted from Lakewood to Boulder (I'd drive half-way to Arvada and ride the rest, which still made for a 50-mile round trip ride). This job luckily had a shower in our building and I could stow my bike in my office. I was always blessed with understanding -and patient- bosses, who allowed me a bit of leeway to do this. 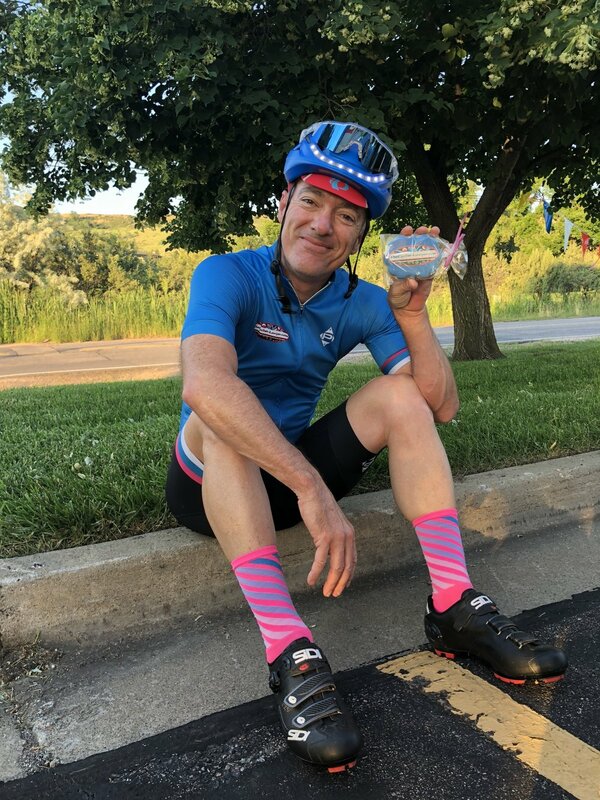 Now, I live 4 miles from my office, so I commute frequently, on the road, over a nearby mountain bike trail, on my road bike, my commuter bike, or my E-bike. Since my work commute is so short, I’ve expanded my commuting into all aspects of my life, including the grocery store, hair salon, gym, yoga studio, bank, (to name a few). 2. Plan ahead. STOP WORRYING ABOUT BEING SWEATY! Sweating is good for you, friends. Heart rate up, breathing fresh air, exhilarating, don’t “sweat it” if you arrive a little bit glistening! You can buy a second set of toiletries and makeup items and leave them in your office - this can include deodorant, perfumes, for the men-shaving cream and razor. Minimize the number of items you have to pack each day for your ride. 3. Buy wrinkle free / stretchy! Choose items that will shake out and not make you look like you slept in them overnight. Activewear brands and stretchy jeans are great for this. If you need to be dressy, consider bringing in your outfit by car on a drive-in day, so it’s there for you on a ride-in day. 4. Pack light. The backpack quickly fills up and gets HEAVY. Don't make your load impossible. I learned to think ahead on my breakfast and lunches -which I always packed and brought in. Grapefruits and apples add a LOT of extra weight ;) Protein powders that could be mixed or again - items I could buy and leave at the office on drive days -were more sensible. 5. Prepare to be energized. There were days when, as the workday came to a close, I was so tired I wasn't sure how I'd ever make it on my ride home. I was tempted to call someone to come get me. But I'd get kitted up and start my ride and always -the ride home would wake me up and energize me and I'd have a more productive evening at home. I "vented" my frustrations on my pedals and arrived home happy. It also forced me to ride in conditions I would normally have avoided -like rain and high winds. It made me a better bike handler because I had to react to cars, pedestrians, crazy things you encounter on a bike commute. There were only a handful of times in my 2004-2010 commuting years that I had to call for a ride -and they usually involved massive storms or an equipment failure. Here in Denver, RTD is also a great backup plan if you find yourself stranded on a commute -with most buses outfitted with bike racks. And of course, there’s always Uber/Lyft or even AAA. 6. Own really good lights. When it's not summertime, your commute WILL start in the dark-ish hours. Don't skimp on this investment -get a super strong headlamp. 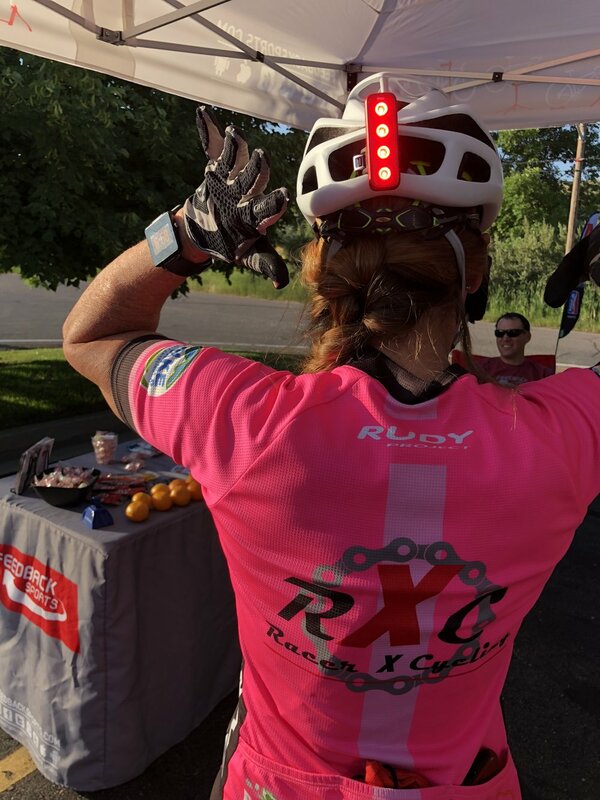 Put reflectors on your bike and backpack and red blinkies on the rear of your ride. But most important is to light your way so you can see where you're riding and what you're encountering on the road. 7. Shower, schmower. Your office doesn't have a shower? Do NOT let this stop you. Tea tree oil works wonders on a wet washcloth. I made this work for 2 years in hot, humid Kansas City!! You can wash down, apply deodorant and be fresh for your day. This assumes a hair style that does not require a lot of "do-ing" and that will freshen up once you take your helmet off. If commuting is your goal, make your appearance as low maintenance as possible ;) No curling irons or hair dryers! All you need is a trusty backpack and a good bike lock! 8. Backpack v rack system. I used a backpack for years before investing in a rack that mounted to my seatpost -I owned one bike, so I couldn't convert my race bike into a full-time commuter and didn't want to mess with panniers on/off all the time. The rack I had was a shelf that clamped onto the seatpost and the bag (a hardcase) snapped into the rack. This allowed me to pack my clothes without them getting all smushed up and then I could just snap the bag off and carry it to my office. Slick. 9. Observe patterns. Maybe this is just my OCD nature - but I came to know times of buses that would travel in my bike lane, when car traffic would get heavier, when to arrive at the office, etc. You will be off-kilter initially as you get your timing down, but eventually it will become a science. Also -consider driving your proposed route at the time you'll be riding it, just to be sure it works as well as the map makes it seem. You may ride your route a few times and then find ways to improve it to avoid traffic, long lights, animals, etc. I think people are often afraid of commuting due to its perceived unpredictability -but give yourself a week and you'll have the schedule down pat. Let your boss know that you might be a bit off pace the first week, so they know what's going on. But you'll be surprised and -probably early, not late. Just plan ahead! I can't say enough about the positive things that happened to me while commuting to and from work - the things I saw and the improvements in my health and my weight and reduced stress levels, the reduction of time I spent in my car and my lowered fuel bills, the opportunity to tell more people about cycling (because more asked!) -and my overall energy ... there really is NO downside. I wish you the BEST of luck as you experiment and find ways to make it work in your life. Take out a protractor and draw a 10-mile radius around your home … commit to moving as many things into that circle as you can - your gym, your salon, your bank, your grocery store, your yoga salon, and so on. Then COMMIT TO GOING BY BIKE! Get a good bike lock and a backpack -that’s all you need to make this work! No fancy equipment or special “commuting” bike is needed. Wear flashing light on helmet (to be seen above vehicles); better yet, wear a helmet with built in lights (Lumos helmet). Create multiple route options to help keep things fresh. Invest in a windproof vest - it's the most versatile piece of kit you'll use. Give yourself ample time. Practice your route when the stakes are low. It always takes longer than you think it will. Have an extra set of clothing at work just in case--multiple pairs of socks and underwear is just smart. 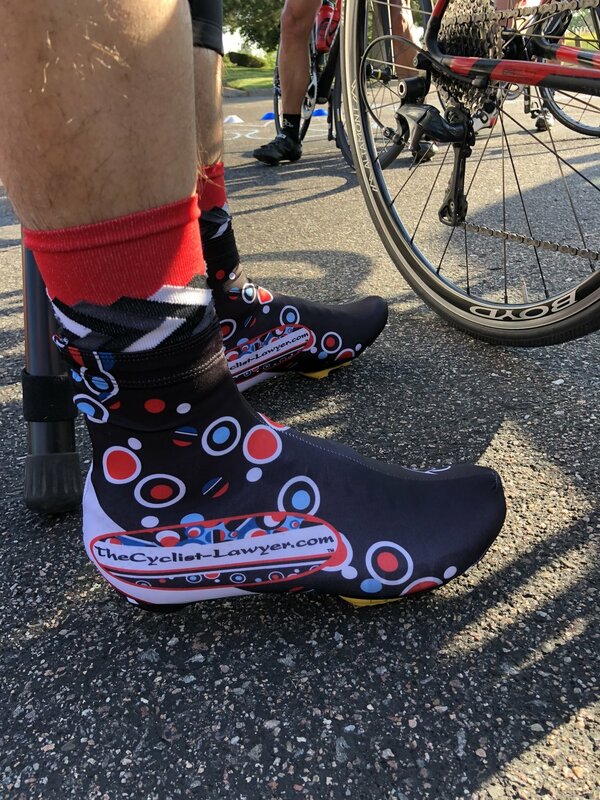 Even a spare set of shoes if you wear bike shoes to ride. Because you will forget to pack something for your day. Extra food at work is nice too. You'll be surprised how hungry you might be after riding to work if you usually drive there. Wear pops of bright clothing and light yourself up like Vegas. VEGAASSSSSS. 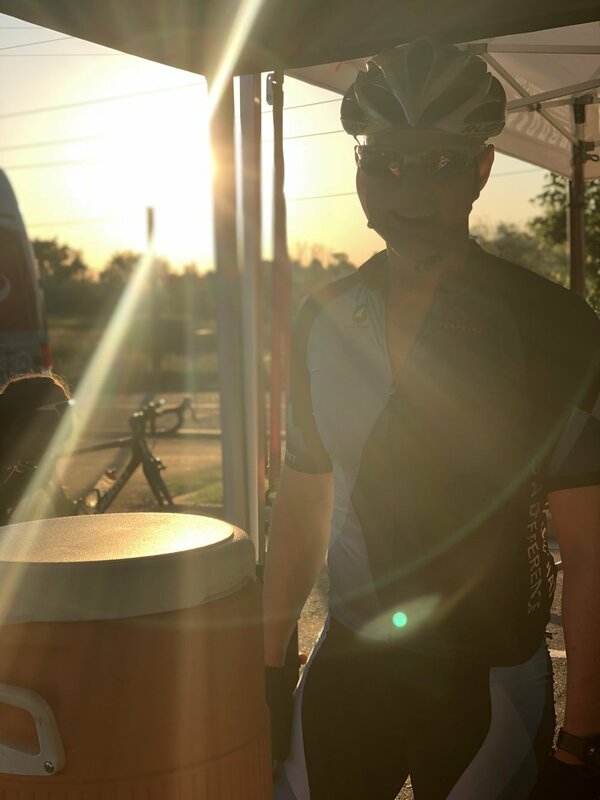 Photos below: Our 2018 Bike to Work Day Station. (Be sure to stop by every June on Denver’s BTWD! ).